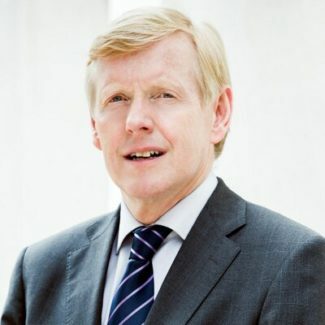 Ambassador Kåre R. Aas’ distinguished career with the Norwegian Ministry of Foreign Affairs began in 1983. He was accredited as Norway’s Ambassador to the United States on September 17, 2013. Prior to his current position, he served in Oslo as Political Director of the Ministry of Foreign Affairs. Preceding his assignment as Political Director, Amb. Aas served as Norway’s Ambassador to the Islamic Republic of Afghanistan from 2008-10. During his tenure in Afghanistan, Norway focused on education, good governance, rural development and collaboration with civil society. Amb. Aas also took part in an informal dialogue between Afghanistan and neighboring countries as part of a broad political settlement. From 2003-08, Amb. Aas served as Director General in the Department for Security Policy and the Arctic. In that capacity, he was responsible for Norwegian security policy and Norway’s strategic cooperation with European and Transatlantic partners, including NATO and Norway’s participation in international operations. Amb. Aas was also responsible for Norwegian policy and obligations within the fields of disarmament and non-proliferation, nuclear safety, Norway’s strategic policy regarding the Arctic, and bilateral relations with the United States, Canada, Russia, Eastern Europe, South-Caucasus and Central Asia. From 2005-07, he served as Norway’s Governor to the International Atomic Energy Agency (I.A.E.A.) Board of Governors. Furthermore, Amb. Aas chaired and was a member of various international groups working on nuclear disarmament, non-proliferation and international peacekeeping operations. During his career, he has also been posted to Chile, Norway’s Permanent Delegation to NATO in Brussels, and the Permanent Mission of Norway to the United Nations in Geneva.